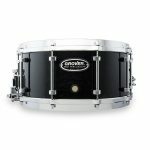 The Concert Series Snares are a very affordable alternative to the more expensive orchestral drums on the market. 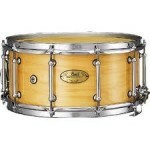 Designed with a 6 ply maple shell, tube lugs, they are available in standard 14"x 5.5" and 14" x 6.5". They have a mix of cable snares for a dry, orchestral sonority. Hoops are Super Hoop ll. Colors are Natural and Piano Black. it is a perfect professional quality instrument for the school budget. 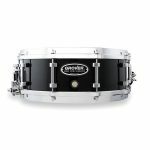 Pearl Symphonic Series 14"x 6.5" Snare Drum features six-ply maple shells, Die-Cast hoops and Tube Lugs. 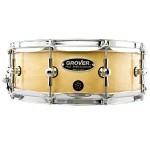 The SR-300 Strainer has three levers for individual snare assembly. The three snares are Coated Cable, Wound Cable, and Snappy Wire. 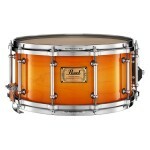 The finish is a very attractive Antique Sunburst. 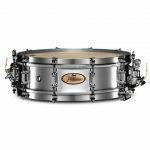 Pearl Philharmonic Series Solid Maple Snare Drums with die-cast hoops are the choice drum of many orchestral snare drummers. 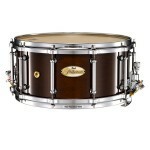 The most popular sizes have been the 14" x 5" and 14" x 6.5". 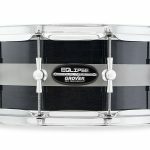 These drums feature the SR-500 Strainer which has 3 individual tension adjusters for fine tuning and a combination of Coated Cable, Stainless Steel, and Snappy Wire snares. Walnut finish is standard. Piano Black finishes are a special order, so please contact us. 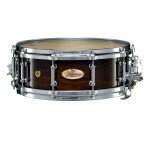 These are very articulate drums! 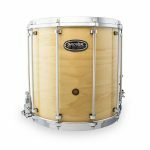 Pearl Symphonic Series 14" x 5.5" Snare Drum has a six-ply maple shell, Die-Cast hoops and Tube Lugs. 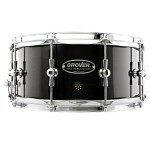 The SR-300 Strainer has three levers for individual snare assembly. The three snares are Coated Cable, Wound Cable, and Snappy Wire. 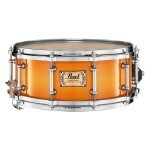 The finish is a very attractive Antique Sunburst.